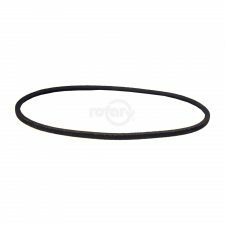 Primary Drive Belt. Tractor to Mower for AYP 46″ with 18 & 20 HP Kohler Engines, Model Year ’95 & ’97. General Purpose, Polyester Cord Construction. Covered.